Now in its fourth year, San Diego Legend: Living Well showcased its 2016 Legends exhibit in East County at the El Cajon Library that will remain until August 1. A conjoined effort between the San Diego County Library and the Aging & Independent Services, this exhibit celebrates the diverse people that continuously contribute to our communities by the lives they live and the changes they quietly make in living their daily lives to the fullest, even in retirement years. Now in its fourth year, San Diego Legend: Living Well showcased its 2016 Legends exhibit in East County at the El Cajon Library that will remain until August 1. A conjoined effort between the San Diego County Library and the Aging & Independent Services, this exhibit celebrates the diverse people that continuously contribute to our communities by the lives they live and the changes they quietly make in living their daily lives to the fullest, even in retirement years. From its conception, these living legends represent the diversity that makes a community thrive by their actions and involvement. They come from different backgrounds, and you will find educators, artists, leaders, and activists of many worthwhile causes. This year’s selection of five people is no exception, and each year the Legends Project does more than just honor people for their accomplishments, it sets an example that age is just a number, it is what you do that counts. Legends celebrate the elders in our community. 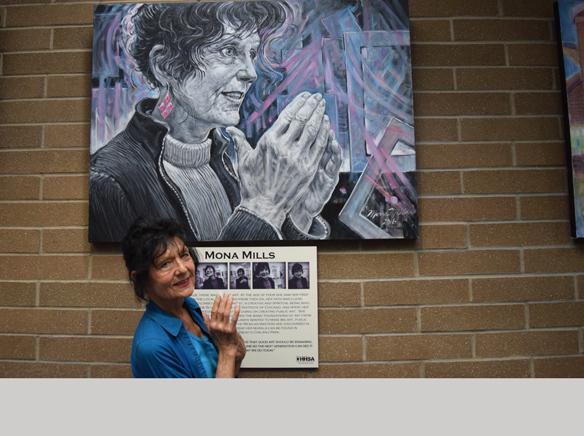 The exhibit comprises of portraits, painted by one of East County’s well known public artist Mona Mills. This year, she had to paint a self portrait, as she is one of the five living legends featured. This project is the brainchild of former director of the San Diego County Library Jose Aponte. A man with many titles and an impressive background, Aponte was at a board meeting, looked around and saw many heroes. But none that looked like him, a Latino. This began a conversation at the County Library about every day people who quietly go about their daily lives, jobs and do great things in the community. And San Diego Legends: Living Well began in 2013. At the reception for Vicki Velasco and the debut of this year’s exhibit, San Diego County Library Acting Director Susan Moore said that it was an important day, but also signified everything that is important to the library. This exhibit is nothing short of stunning in the art of Mills. Each year a theme is chosen, and this year, along with the detailed portraits, there was added symbolism in the paintings that had personal significance to the legend. Mill’s ability to capture a lifetime on canvas is remarkably beautiful and real. Her love for being a public artist with art displayed throughout the entire San Diego County communities and her love in teaching the art of creating are some of the reasons she was chosen as one of this year’s subjects. Mills spent her entire life pursuing art in many forms, fashions and mediums, and she constantly strives for more. After his retirement, Dr. Charles Ross, MD, began his work with the Laubauch Literacy Council of San Diego which offers free tutoring to English as a Second Language. 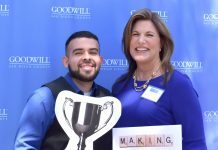 With his help and dedication, this program is working with more than 27 languages that it is tutoring and looking for more tutors to come in and help this program to continue to grow. A world traveler, Moore said he had the innate ability to bring the world and its people into his home and share them with everyone he came in contact with. Recently appointed to the California Commission on Aging by Governor Jerry Brown, Dr. Joaquin Anguera is a professor of Gerontology and Aging at SDSU and been involved in the field of aging for more than 40 years. Anguera said it was great to see a room “full of beautiful white heads and that “we should be proud of who we are. With the reception honoring another Legend, Vicki Velasco, spends her life working with older people. He said in his years working with Velasco he can say a lot of great things about the work she does, but the best thing is that she “has a big heart.” Big enough to break the rules and take a homeless woman and her dog in her own home when no shelter would allow her in with her dog. Velasco was one of the first to join the Peace Corps and did multiple tours in Ecuador and Guatemala. 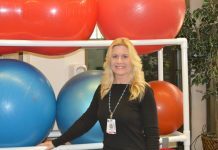 She now has created a program that promotes movement and exercise by participating in Feeling Fit. She said it is important to understand that all exercise differently, especially as they get older, but finding the right kind of exercise brings better health mentally and physically. Jerri Patchett is considered a “library champion” and discovered her purpose as a young girl reading with other children in an orphanage. 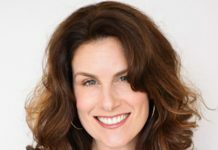 Her leadership skills to keep on working resulted in a new, award winning library for the Fallbrook community that embraces art, culture, education and inclusion. This exhibit is more than art. It is the history of our community. Not only can you see it on canvass, photographs and words, but as this exhibit tours the County, if you can make it to the opening reception you have the chance not only to look at art and learn local history. You have the chance to talk to the ones that are making it. For more information about the Legends Project visit www.sdcl.org/legends.